Why hold onto unnecessary junk, when you can easily Sell Your Holden Cars For Cash in Brisbane? Often, we ignore the junk vehicle lying in our backyard thinking why bother about it. However, did you know that even the most useless and worthless car can fetch you a good price if you approach the right professionals who buys used cars for cash. So, now no longer delaying the need for car removal, contact us now and earn top cash for junk cars without any hassles. All Car make – We accept all cars make such American, European, and Japanese make. Every Car model –All models of popular vehicles such as Vans, UTVs, SUVs, hatchbacks, campervan, trucks , and buses to name a few are acceptable to us. Any Condition – We do not reject a vehicle even if it is in a wrecked condition. In fact, we buy vehicle regardless of its condition. We are known to pay handsome cash for used cars as well as cash for damaged cars, cash for unwanted cars, and cash for accidental cars. 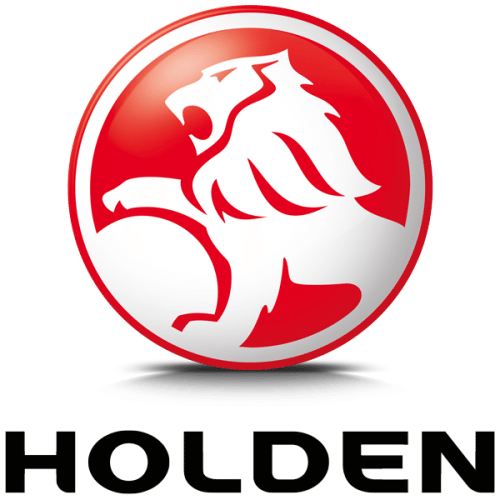 As a Holden Car Buyer Brisbane, we buy all models and versions of Holden car. Most popular models that we regularly deal with are Astra Hatch, Spark, Trailblazer, Astra Sedan, Commodore VF II, Trax, Astra Sport wagon, Captiva UTE, Barina, and Equinox Colorado to name a few. So, if you have any of these cars or any other vehicles that you no longer want, you can easily scrap cars for cash with us. There are many causes why one may choose to opt for Cash For Holden Cars Brisbane. Below are some of the popular reasons why people let go of their priced possession. The list might help you also decide to let go of your car, and opt for Cash For Cars Brisbane if you have been deliberating it for a while without reaching any decision. The vehicle is old and no longer serves the purpose. Your car is damaged, wrecked or has met with an accident and is beyond salvage. So, if you have a vehicle that you no longer want, contact us today! We are a prominent Holden Car Wreckers Brisbane. You can be sure to get fast cash for cars with us without any stress. We are a responsible Car Wreckers Brisbane with all the necessary approvals and authorisation in its place. We also encourage people to sell their cars for cash to us since we dispose them off without damaging the surrounding and the environment. We resell the vehicles that are old buy in still a good condition thus we reduce the metal waste. Similarly, we utilise all the possible auto parts by refurbishing them and selling them as spare parts. We remove these parts from the vehicle that are no longer roadworthy. This saves resources for manufacturing new spare parts as well as makes them available at a lower cost. And lastly, if the vehicle is a complete wreck, we recycle the metal body after dismantling it properly and safely. So, when you sell your junk cars for cash to us, you know that you are not harming the environment but in fact helping us keep it clean. Earn up to $9999 by contacting the best Holden Car Removals Brisbane. We are one of the top payers in the industry for Holden or any other car you may own. We also offer the most efficient service regards to safety and time efficiency. Our personnel are regularly trained in handling all kinds of vehicles during Car Removals Brisbane ensuring zero damage to your property or vehicle at the time of towing it away. So, let the professionals handle your car removal and call us today to experience the brand that we are. Below are our contact details. You can opt for any of them as per your convenience. You can call us on 07 3082 6471 if you are keen to speak to us directly. Write to us at [email protected] for any information or queries that you may have. Visit our website sellmycarinbrisbane.com.au/contact-us/ for detailed information and for cash for cars online quote.